There’s plenty I don’t know about beekeeping and that was apparent today. 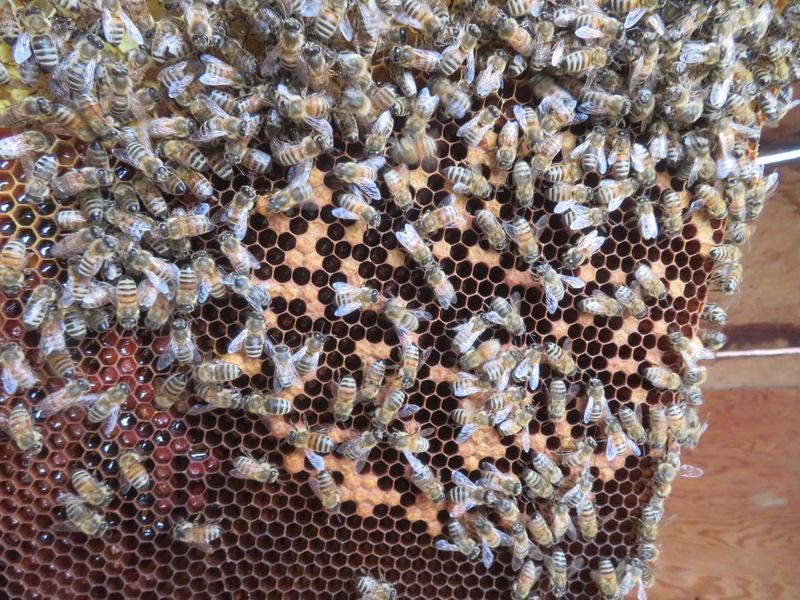 I’ve purchased three new queens, as I didn’t see any larva or brood when I first checked the hives. 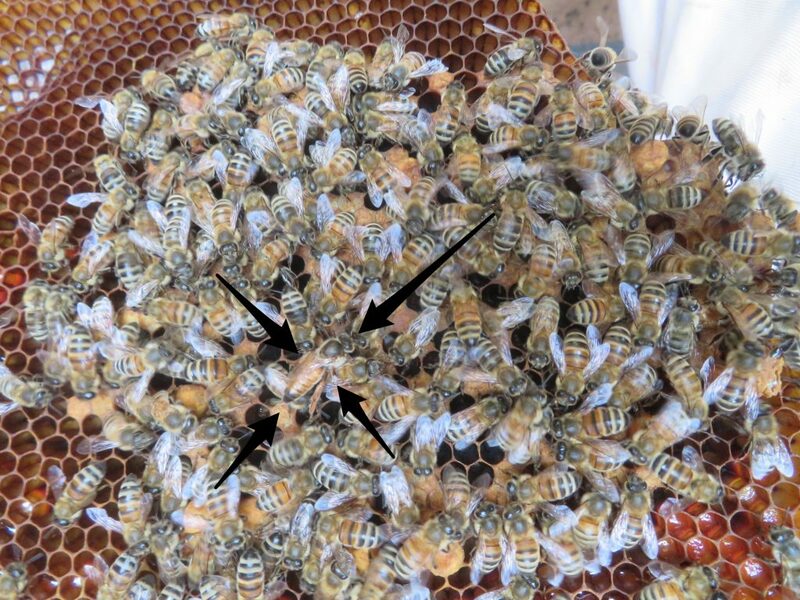 My second check gave me the suspicion of a working layer… a worker bee that has begun laying as a queen. She will have irregular patterns of laying her eggs, and will often lay multiple eggs in one cell, and sometimes the eggs will be off color. It’s best to find her… kill her… and replace her with a new queen. And, yes, I killed her. Today I will put the new queen inside, still in her cage, then release her tomorrow… Hopefully, by then, they’ll accept her and not commit regicide! This is all new to me… and I’m hoping for success! Wow, we are still back at Mason Bees for pollination. Hope all works well for you. So you recognize her because of her elongated abdomen? And she can’t be allowed to continue because she isn’t laying the eggs right and the hive wouldn’t thrive if she continues? I think bees are fascinating. We have a hive (wild) in our back fence. Sometimes it splits and there are swarms. Once it disappeared with no indication of what happened. Now there are bees again. I’m interested to see how the new queen works out — seems like hiring a new CEO! How do you tell who the queen is? Oh my goodness. This sounds like a challenge. Go for it girl!!! !